I prefer a more minimalistic style when it comes to my personal taste in design, but it's always refreshing to play with multiple layers and textures! Getting out of your comfort zone always allows you to sharpen your skills, which I'm always down for. 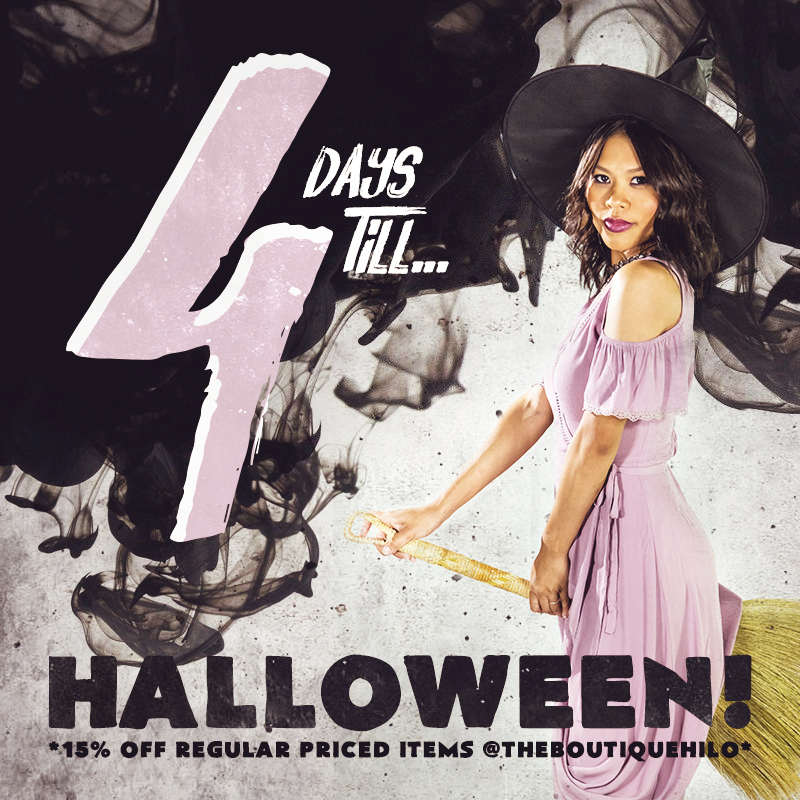 Really enjoyed how these countdown-to-halloween flyers came out for The Boutique Hilo. This was so fun!! Yep...i'mgettingold. 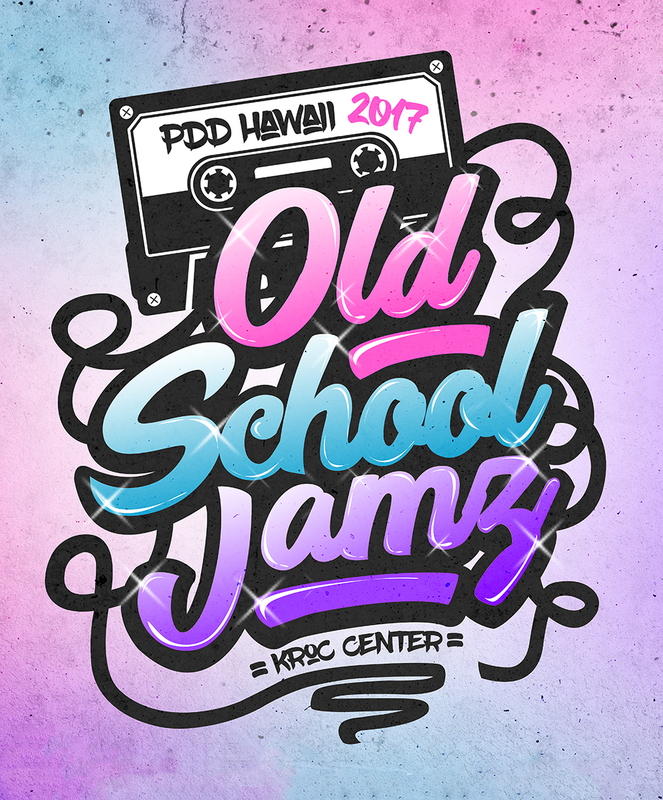 The theme for our 2017 annual dance recital at Pas De Deux Hawaii is inspired by songs from the 80's-90's, therefore entitled, "Old School Jamz"! When I was planning the flyer, I originally thought of doing some kind of graffiti style design inspired by the prominent hip hop culture from those decades; a more grungy tone and darker colors, maybe some brick and concrete textures...but then Lisa Frank popped into my head (oh, the good old days) and then, well, that totally changed the direction.